We are extremely fortunate to have partnered up with the makers of the original BlenderBottle to bring you this leak-proof, expandable, and highly effective blending solution for our organic greens, acerola cherry powder, and other organic whole food offerings. It's a beautifully designed all-in-one solution for health-conscious individuals who want an easy way to quickly blend up clump-free whole food supplements and protein supplements. The wire whisk ball is so effective at blending that you can even add nut butters to your healthy drinks. Whether you are making green drinks, meal replacement shakes, pre or post-workout blends, or food-derived vitamin and mineral replenishers, this BlenderBottle will ensure a smooth mix. I ordered this bottle to whip up my Organic Whole Food Multi Powder thinking the attached container was a great idea, and because I lost my metal spiral mixer from a previous shaker. 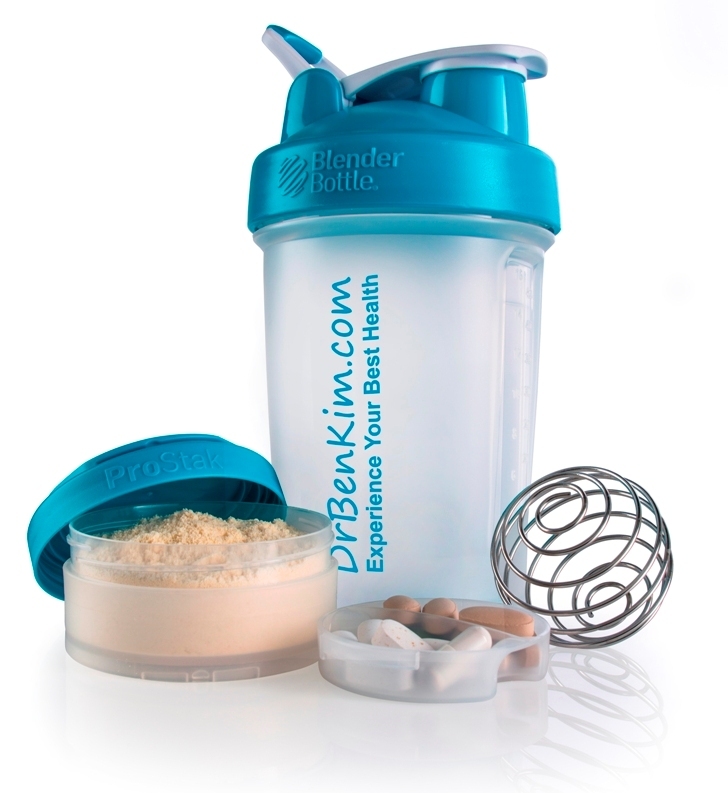 Well---let me say this is the highest quality, innovative and perfect shaker bottle. I love it! Its expandable! This is a great design and I am so pleased with it! Thanks Dr Kim! 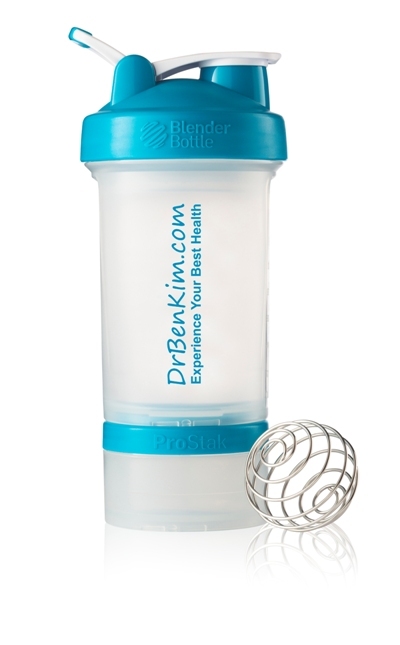 I enjoy this shaker very much and am buying an additional one as a gift to share. Using this blender bottle allows me to mix up the Organic Whole Food Multi Powder with my green tea & take my "vitamin water" with me when I go out and at home. I'm finally getting more of my daily requirements in one easy package! Best one I have tried yet. Love the hidden tray for my supplements and the extra container that screws on the bottom is the perfect size for my protein powder and greens, which I mix together. Ordered 6 more to give to family and friends. I love this bottle. I keep my protein powder in the bottom container, and my vitamins in the hidden pill tray, and I'm good to go for my time at the time. Super easy to clean and ensures that I never compromise recovery because I don't have the right stuff to replenish with after a workout. This is a terrific bottle! I love everything about it, especially the loop that allows for a secure grip while shaking!